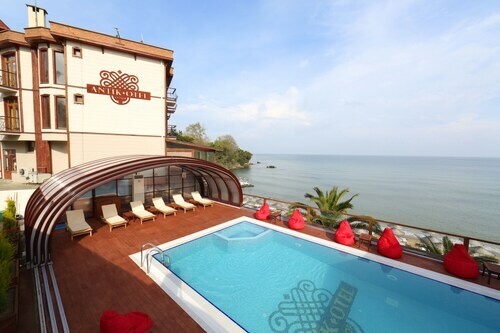 Nestled on the beach, this Sinop hotel is within 9 mi (15 km) of Sinop Fortress Prison, Baris Manco Park, and Sinop Castle. Ethnography Museum Arslan Torun Mansion and Sinop Archaeology Museum are also within 9 mi (15 km). Nestled on the beach, this Sinop hotel is within 2 mi (3 km) of Sinop Fortress Prison, Sinop Castle, and Sinop Archaeology Museum. Baris Manco Park and Ethnography Museum Arslan Torun Mansion are also within 3 mi (5 km). 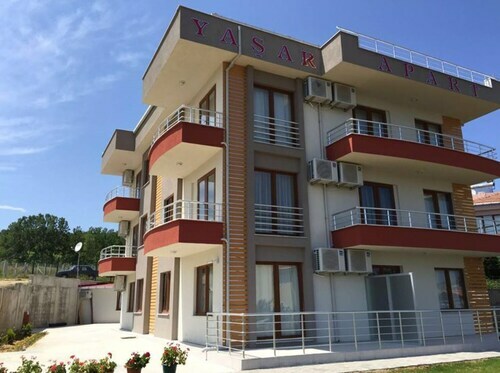 This Sinop apartment building is on the beach, 2.6 mi (4.3 km) from Sinop Fortress Prison, and within 6 mi (10 km) of Baris Manco Park and Ethnography Museum Arslan Torun Mansion. Sinop Archaeology Museum and Balatlar Church are also within 6 mi (10 km). 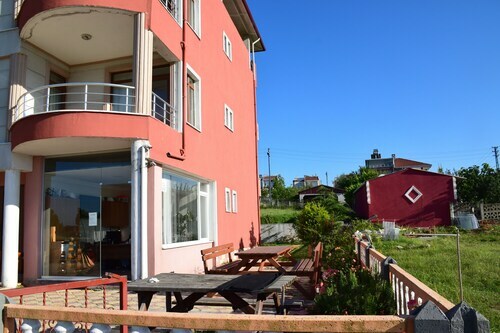 Situated in Sinop, this bed & breakfast is within 3 mi (5 km) of Sinop Fortress Prison, Sinop Castle, and Baris Manco Park. Ethnography Museum Arslan Torun Mansion and Sinop Archaeology Museum are also within 3 mi (5 km). 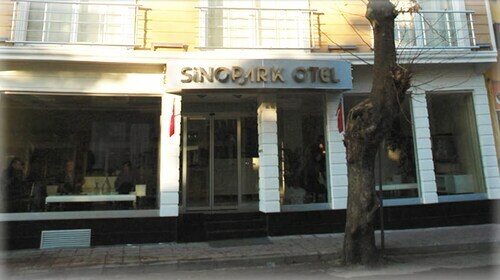 Situated in Sinop, this aparthotel is within 3 mi (5 km) of Sinop Fortress Prison, Sinop Castle, and Sinop Archaeology Museum. Ethnography Museum Arslan Torun Mansion and Baris Manco Park are also within 3 mi (5 km). 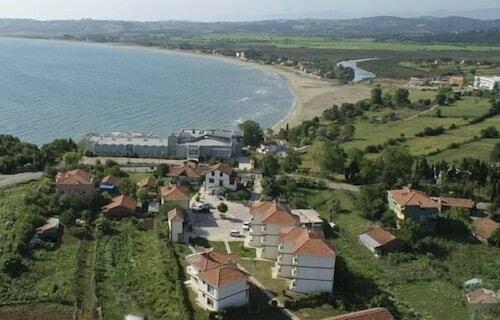 Nestled on the beach, this Sinop hotel is within 3 mi (5 km) of Sinop Fortress Prison, Baris Manco Park, and Sinop Castle. Sinop Archaeology Museum and Ethnography Museum Arslan Torun Mansion are also within 3 mi (5 km). 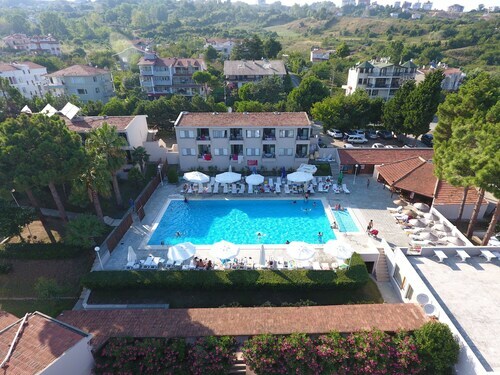 Situated near the beach, this aparthotel is within 6 mi (10 km) of Sinop Fortress Prison, Sinop Castle, and Ethnography Museum Arslan Torun Mansion. Sinop Archaeology Museum and Baris Manco Park are also within 6 mi (10 km). 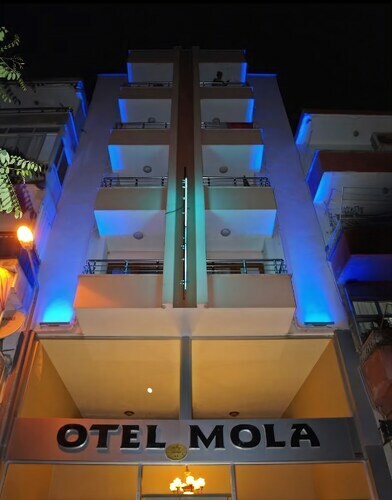 Situated in Sinop, this hotel is within a 10-minute walk of Sinop Castle, Ethnography Museum Arslan Torun Mansion, and Sinop Fortress Prison. Baris Manco Park and Sinop Archaeology Museum are also within 10 minutes. 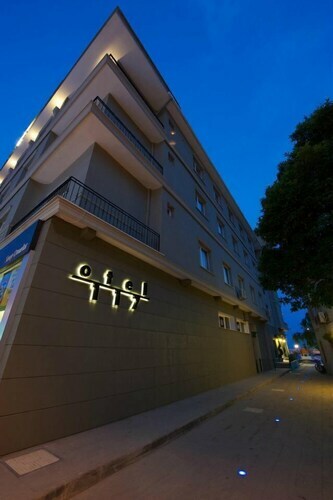 Situated in Sinop, this hotel is within a 10-minute walk of Sinop Castle, Ethnography Museum Arslan Torun Mansion, and Sinop Archaeology Museum. Baris Manco Park and Sinop Hayaller Theatre are also within 10 minutes. 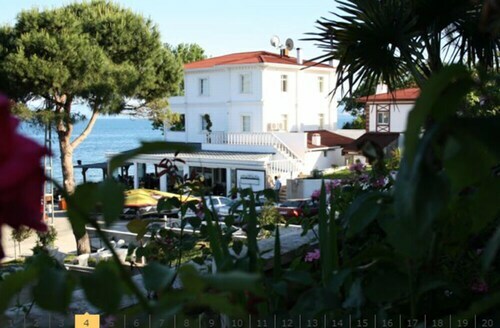 Situated in Sinop, this hotel is within a 10-minute walk of Sinop Castle, Sinop Fortress Prison, and Ethnography Museum Arslan Torun Mansion. Baris Manco Park and Sinop Archaeology Museum are also within 10 minutes. Some historical sightseeing at Inceburun Lighthouse is an excellent way to understand the area a little more. To experience it, head to Sinop, 180 miles (290 kilometers) from the capital of the country, Ankara. There aren't any hotels within 60 miles (96 kilometers) of Inceburun Lighthouse. The closest place to stay, the Portofino Hotel Beach Resort, is 360 miles (579 kilometers) away in Prymorsky. One of the most prominent landmarks in the area is Kumkapı. Its girth and height is equalled only by its historical weight. If you're looking for a little piece of local history, check out Diogenes the Cynic Statue. If you're interested in where convicts were kept locked up in years gone by, check out Sinop Fortress Prison. If you're on the lookout for a place to keep the kids busy, you can visit Tarihi Cezaevi. Arrange a tour through Pervane Medresesi, this local school is brimming with enthusiastic teachers and knowledge-hungry students. How Much is a Hotel Room in Inceburun Lighthouse? Hotels in Inceburun Lighthouse start at $39 per night. Prices and availability subject to change. Additional terms may apply.